When the Skoda rapid was launched about three years back, it was car that made an impression with its looks and performance. It was a machine that a first time sedan buyer would aspire for given its Czech legacy, aggressive styling, comfort and brand value. 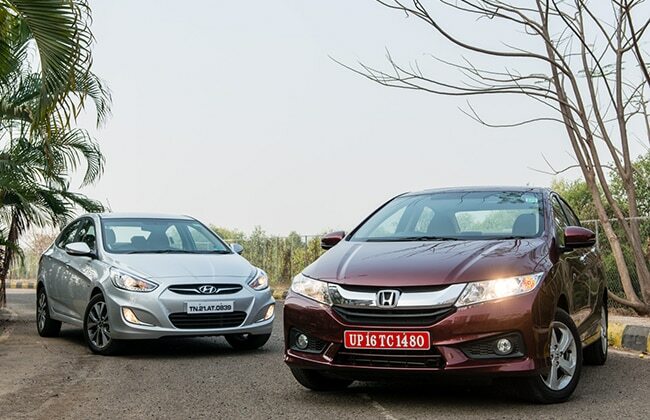 But it was a fuel guzzler and faced stiff competition from the likes of the Honda City and the Hyundai Verna. Over the past years though the Rapid sold fairly well for Skoda, it was about time it got upgraded to face the stiffening competition brewing in the Indian car market. Come 2014 and Skoda has launched the new Rapid making it even better than before. We do a competition check with the Rapid’s rival to give you an idea which one is topping the charts. 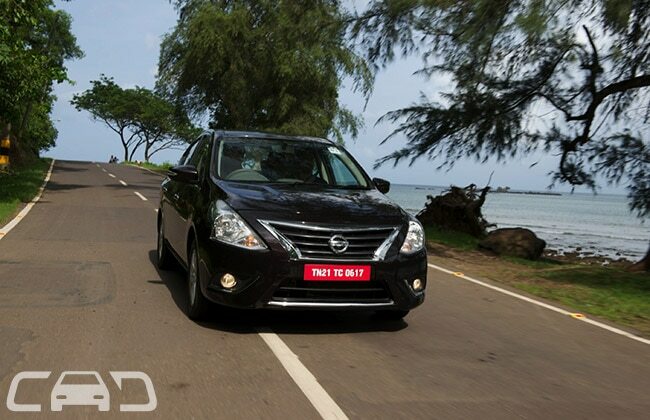 The Rapid comes with two engine options - 1.6 litre petrol and a 1.5 litre diesel. The petrol variant produces 105bhp of power with 153 Nm of torque; while the diesel churns out 103 bhp with 250Nm of torque. Both petrol and diesel variants are available in four trim lines – Active, Ambition, Ambition Plus and Elegance. Though the 2014 Rapid experiences mechanical and cosmetic changes, the most notable is the seven speed dual clutch gearbox also seen on the Vento and Polo GT TSI. The only detractor for the Rapid is that the DSG gearbox will be available only on the top end diesel variant. Skoda is offering the Rapid with a five-speed manual transmission as well. Suspension set-up remains the same making the Rapid a brilliant handler not just on the highways but also on corners. 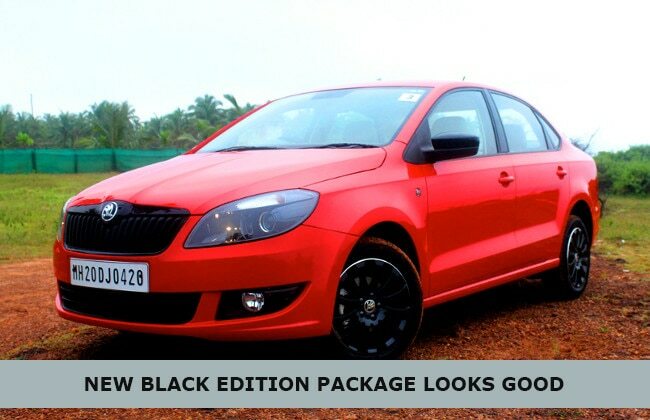 Skoda is offering the Rapid in a “Black” package on the top end Elegance trim at premium of Rs 20,000. This will include the blackened foglamps, projector lamps, grille, mirrors and alloy wheels; everything else in the cab remains the same. Honda’s City has held the crown of the most favoruite, fuel efficient and reliable sedan in the Indian market since its launch. 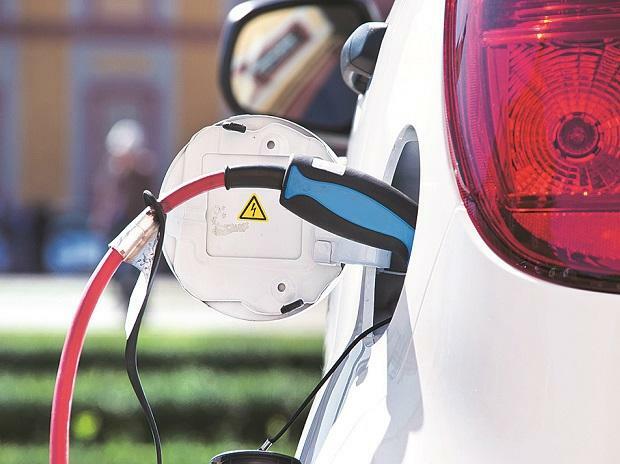 Even today it is considered one of the best sedans in the Indian market and with its launch with a diesel variant its popularity has gone a notch higher. 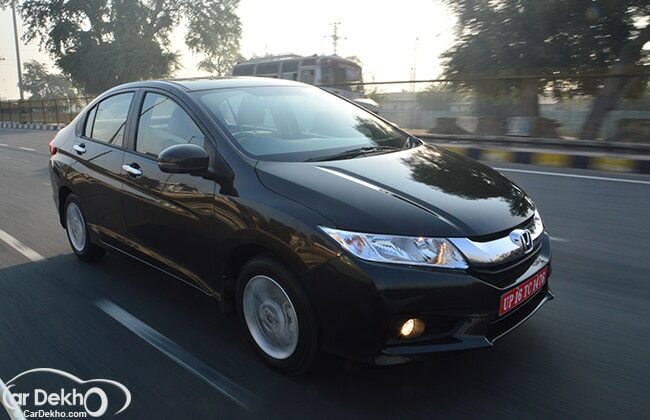 The Honda City is available in 1.5 litre petrol and 1.5 litre diesel engine; the former produces 117 bhp of power with 145 Nm of torque while the latter produces 99bhp of power and 200 Nm of torque. The Petrol variant comes with a five speed manual transmission while the diesel features a six-speed manual transmission. Packed with features and highly fuel efficient mill make the city people’s favourite. Hyundai’s Verna with its fluidic design has captured the hearts of many. The car not only looks good form the outside but provides uber luxurious interiors. The fact that that it is the only other car in the segment besides the Rapid that comes with a dual clutch DSG gearbox makes it stand apart. Hyundai offers the Verna in two engine options – a 1.4 litre petrol that churns 105 bhp of power and 138 Nm of torque and a 1.4 litre diesel which produces 89 bhp of power and 224 Nm of torque. The petrol engine is mated to a five speed gearbox while the diesel comes with a 6 speed manual transmission. Its soft suspension and body roll has been it’s only negative factor so far. Nissan’s ‘Caaaaaarrr’ is pretty bland when you compare it to the above mentioned. What it scores on it rear seat space and fuel economy. The Sunny comes in both petrol and diesel variants; however the petrol mill feels slightly underpowered. The diesel engine on the other hand gives a healthy dose of power and torque. Both the petrol and diesel feature a 1.5 litre engine with the petrol offering 99bhp and 101 bhp (CVT) with a torque of 134 Nm and the diesel offering 86 bhp along with a torque of 200 Nm. Nissan offers the Sunny in both the automatic and manual transmissions.